The card virtually always gives you access to residence halls and other campus buildings. The card may give you discounts on recreational facilities, books and school materials, sporting events, or even shuttles and public transportation. In some states you may get a tax break while using your campus card. At some schools, you can even use your campus card as an ATM card. 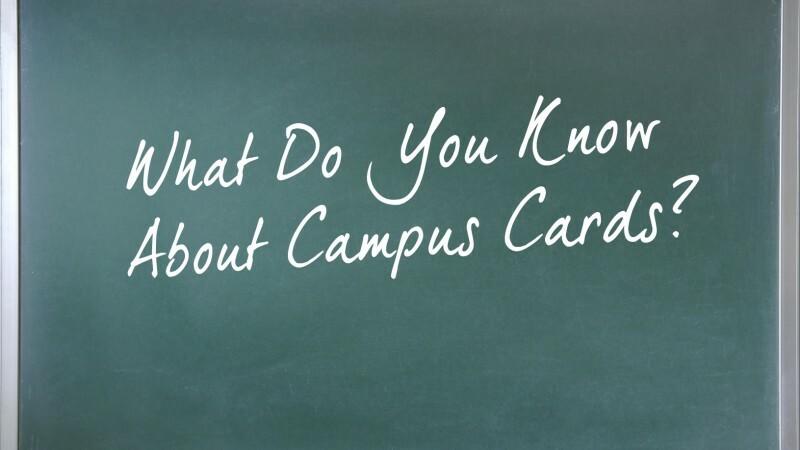 Campus cards that are also ATM cards: To use this feature, you have to establish a banking relationship with the card issuer—you've got to put money in the bank associated with the campus card, for instance, before you are able to draw it out. Usually, the fees to use this card or even maintain an account are a lot higher than the fees you may pay at the credit union or any other good financial institution. Why pay more? Use your normal ATM or debit card. Spending habits: You walk into the campus bookstore to get a textbook and walk out with three sweatshirts, too. You didn't need them, but they are sweet and your campus card made it easy to buy them. Bingo, you're spending too much. Identity theft: Since most recent campus cards are used for ID purposes, they normally contain sensitive personal information. Lose the card and it's easy for a scammer to steal your identity. The moral of the story? Guard your campus card as if it were cash. A campus card may be great. But that will be determined by how wisely you use it. Slow down and think before you draw or spend money.